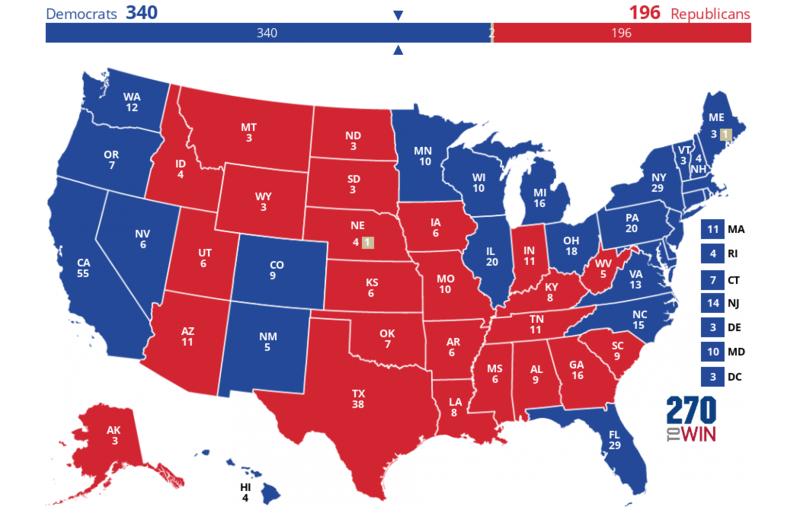 Here's how I think the electoral college map will look tomorrow evening. Of course, the winning candidate must receive 270 electoral votes. If my math is correct, Hillary Clinton will be our president-elect by tomorrow evening. This doesn't constitute an endorsement. I don't do endorsements, as I've come to believe that it's wrong for pastors to do so. An early election night indicator of how things are trending will come with the votes from North Carolina, Florida, and Ohio. Donald Trump must win all three of these states to win. Without all of them, he has no chance of knitting together a winning coalition of states. Believers in Christ owe it to God and to our neighbor to pray for our leaders, including those with whom we agree, those with whom we disagree, and those of whom we're skeptical.